Keeping pace with global economic developments can be tricky. There's a skill in blocking out all of the noise, political and otherwise, and focusing on the bottom line fundamentals. So, what do you really need to know as winter approaches? 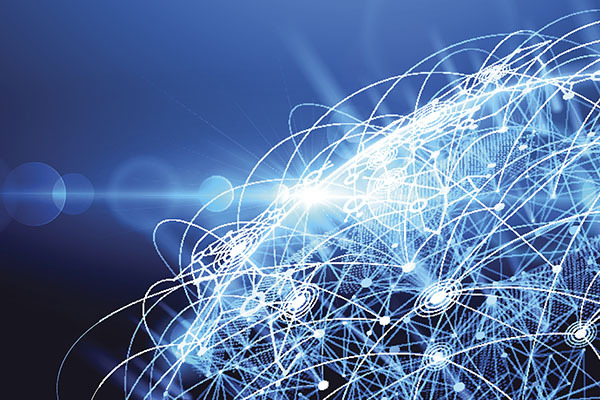 Over the last few months, a series of positive economic data has been released, however there are a number of potential issues that could act to restrain the pace of growth across the latter half of the year. The OECD composite leading indicator, which covers advanced economies plus China, India, Russia, Brazil, Indonesia and South Africa, has been in decline since peaking in January and slipped below trend in both May and June. This led the OECD to concede that its lead indicators are: "pointing tentatively to easing growth momentum". At the top of the 'potential problem' list is the continuing trade tensions between the US and the rest of the world, and the re-emergence of protectionist policies. Very closely followed by the prospect of a no-deal Brexit and the impact of monetary tightening in the form of interest rate rises, both of which also have the potential to precipitate a softening in global growth over the coming months. Arguably the prime area of concern in relation to global economic growth prospects remains the threat of a full-blown trade war. Since Donald Trump was elected US President on a protectionist agenda nearly two years ago, the possibility is evident and still looms large. During the summer months, the prospect of a no-deal Brexit does seem to have intensified, although the full ramifications are near impossible to predict, it would seem safe to assume that such a scenario will have negative economic consequences for the UK. Despite the government suggestion that securing a deal is "the most likely outcome", interestingly it recently started publishing a series of technical notices, intended to prepare businesses, citizens and public bodies for the possibility of a no-deal Brexit. This latest volume of literature rests alongside the 68 technical notices already produced by the EU on such an eventuality. So, while no one is currently predicting the onset of a sharp slowdown or recession, and grounds for optimism remain in terms of future growth rates, there are signs that the global economy may be starting to lose a little momentum. The good news is, investment opportunities always exist. HAVE YOU EVER COMMITTED TO FINANCIAL AGREEMENTS YOU DON'T UNDERSTAND? At some point, we've all been confronted with complicated documents we're expected to sign. And if we're honest with ourselves, we probably didn't completely understand all the small print. Recent research shows that this is a widespread problem that affects one in four of us. More than half the adults questioned for the survey believed they had overpaid for something because the contract was overly complicated. The research from the University of Nottingham showed that some insurance contracts require PhD-level education to fully understand them. No matter what your level of education, complex information that uses a lot of unfamiliar jargon can be very difficult to understand, and you can find yourself confused about vital information. That's why more and more people are working with advisers to ensure that when they commit their hard-earned money into financial products like mortgages, savings, investments or pensions, they have someone on their side who can help them choose the right options, interpreting important details for them in a clear and simple way. Everyone would like to look forward to a financially-comfortable retirement, with enough money saved to make the most of their free time. 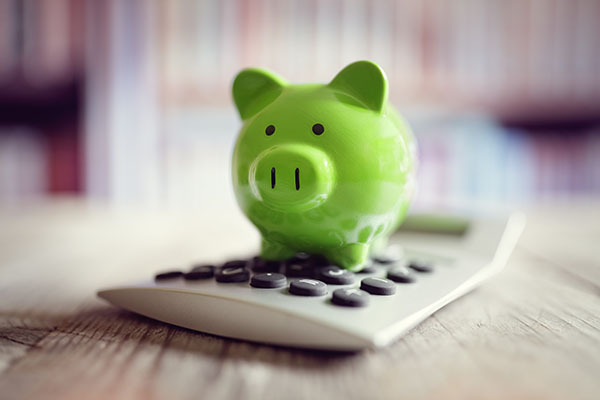 Working out how much you'll need to have saved in your pension pot to make that happen will depend to a large extent on your personal circumstances. However, a recent research study1 provides some useful pointers as to what that figure might be. According to the study, the amount needed to fund a comfortable retirement, when someone opts to stop work at 65 and decides to buy a single-life annuity with inflation protection, has now reached £260,000 for a homeowner. For those who don't make it onto the housing ladder and will need to pay rent during their retirement years, the figure will be even higher at £445,000. In arriving at these figures, the research assumed average earnings of £27,000 a year, and a full state pension of just over £8,500. The earlier you start saving for retirement the better, due in part to the powerful effects of compound interest (earning interest on interest) and reinvested share dividends – both playing a part in investment growth. If you leave pension planning to your later years, your money won't have as long to grow. To encourage everyone to save for their retirement, the government gives tax relief on pension contributions. So, if you pay into a pension, or if your employer deducts your payments from your salary, you automatically get 20% tax relief as an additional deposit into your pension pot. If you are a higher-rate taxpayer you can claim an extra 20%, while those paying additional-rate tax can claim back an extra 25%. When you retire, you can take 25% of your savings as a tax-free lump sum, though not necessarily all in one go. Inheritance Tax (IHT) receipts hit £5.2bn in the 2017-18 tax year according to statistics from HM Revenue & Customs, an increase of 8% on the previous year's figure. IHT is a complex tax that many believe needs a complete overhaul. Earlier this year, Chancellor Philip Hammond announced a review of the tax and its operation, asking the Office of Tax Simplification, an independent adviser to the Treasury, to put forward proposals to ensure that the tax was fit for purpose, and more streamlined in its operation. The results of the consultation are expected back in time for the Autumn Budget. Two areas of the IHT rules that many people can find unfair and difficult are the operation of the residence nil-rate band and the rules surrounding making gifts. As it currently stands, the regulations governing the operation of the residence nil-rate band penalise those who don't have direct descendants and so wish to leave a property to, say, a niece or nephew. They don't have this allowance at their disposal when IHT on their estate is calculated. Those calling for a review of the rules on gifting often express the view that the annual gift allowances have remained at the same level for many years and are now out of date, citing as an example the rather arbitrary annual tax-exempt gift allowance of just £3,000. The individual tax-free threshold which has remained at £325,000 since 2009 comes under criticism for failing to keep in line with inflation, and with rising property values has meant more families have been drawn into the IHT net. Many would opt for combining all the many allowances and reliefs into one larger allowance. However, for now we will have to wait and see. Figures from HM Revenue and Customs (HMRC) have revealed that during the 2017–18 tax year, Stocks and Shares ISAs rose in popularity with 246,000 more accounts subscribed to compared to the previous tax year. At £28.7 billion subscriptions for the year (2017–18), this is £6.4 billion higher than in the 2016–17 tax year. The current year ISA allowance is £20,000. 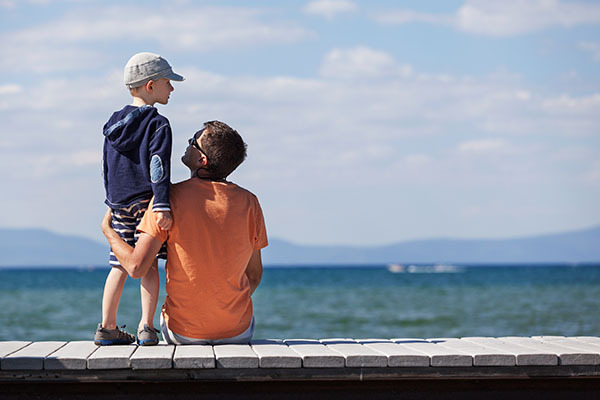 Junior ISAs (JISAs) have also continued to grow in popularity, with the number of accounts subscribed to increasing from 794,000 in the 2016–17 tax year, to 907,000 during the 2017–18 tax year, figures from HMRC have revealed. The amount held in stocks and shares JISAs went up from £1.37bn in 2016–17 to £1.85bn in 2017–18. JISAs are held in your child's name and provide a tax-free way to save for your child until they are 18. You can contribute up to a total of £4,260 during the current tax year; other relatives or friends may chip in within that total. The pension freedoms launched back in April 2015 have given people more choice and flexibility as to how they use their defined contribution (money purchase) pension savings. This includes the ability to take the entire fund as cash. However, it's important to be aware that doing this could mean risking higher tax bills. Government estimates have indicated that around £2.6bn was paid in tax by people taking advantage of the pension freedoms in the 2015–16 and 2016–17 tax years. 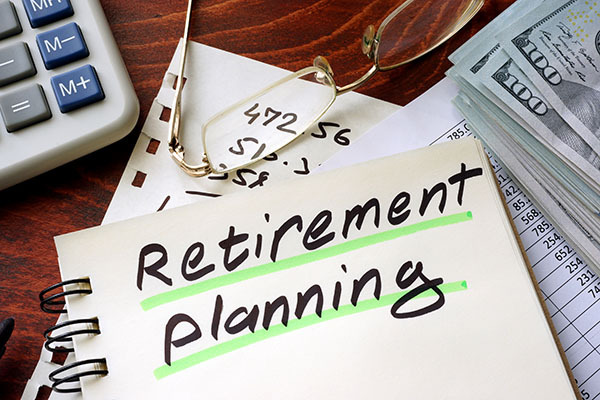 A survey by a major insurer1 found that 10% of people planning to retire this year expect to withdraw their entire pension savings in one go, and depending on their circumstances this could be a risky strategy. When you retire, you can take 25% of your pension pot as a tax-free lump sum. If you take more than that, any amount over the 25% tax-free limit will be added to your other income, such as your state pension, and will be assessed as taxable income. This could mean that by taking all the cash at once, you push yourself into a higher tax bracket and will receive a hefty tax bill. Whereas, if you were to take the cash from your pension in instalments over the years, your tax bill would be less. Plus the money you leave in your pension fund would remain invested, giving it the potential for further tax-efficient growth. Unless you have a definite plan for any cash you withdraw, it's worth considering leaving your pension invested for longer. Putting the money into a bank deposit account means it will only attract low rates of interest and will be eaten into by inflation; and it will form part of your estate when you die, whereas keeping it within your pension pot could have Inheritance Tax advantages. Professional advice will help you make the best use of your pension fund. It's been estimated that over half of UK workers are acting like ostriches when it comes to pension planning, burying their heads in the sand and hoping that the problem will go away if they do nothing. So, what steps do you need to take to ensure you have a reasonable level of income when you reach retirement? You need to take a realistic approach. Think about when you want to retire, and whether you want to adopt a more flexible approach, perhaps working part-time for a few years. Getting a state pension forecast will also show you how much you can expect to receive, so you can then work out how much money on top of that you'll need to fund the type of retirement you're looking for. Taking advantage of your workplace pension scheme makes good sense, as your employer has to contribute too. You'll get a regular statement from the scheme that will show you how much you have accumulated in your fund, and it makes sense to contribute as much as your circumstances will allow. If, like many of us nowadays, you've had several jobs and built up pension funds with different employers, it makes sense to track them down. Taking financial advice will help you decide whether it would make financial sense to consolidate them into one plan. Talking to us will help you see the complete picture. We will consider any other assets you might have, like ISAs or investments that could play a part in your retirement planning. Starting a pension early really pays off, so don't let the years slip by before putting retirement planning in place. There's a lot to weigh up when you retire. Taking the right decisions about your pension pot from the outset is vital, as you won't want to risk outliving your money. Before accessing your defined contribution (money purchase) pension, it makes sense to work out how much your living expenses are likely to be and get a state pension forecast. That way, you'll have a better idea of how much you need to take each year to cover your living expenses. There are several ways to take money from your pension pot, including taking 25% as a tax-free lump sum, income drawdown and annuities. We can help you assess your financial circumstances and work out the best way for you to take money from your pension pot. 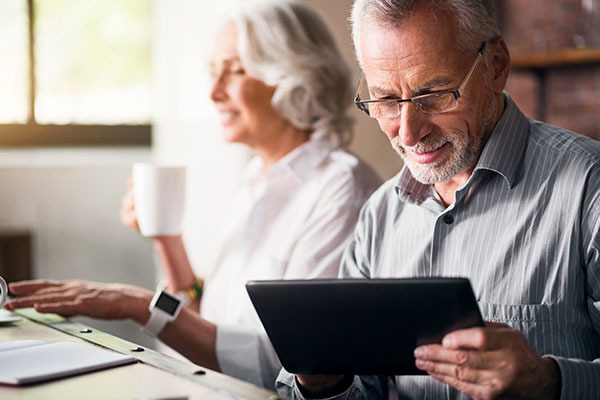 The Financial Conduct Authority recently reported that a third of consumers who accessed their pension had put large amounts into deposit accounts. With interest rates remaining low, they could be losing out in terms of the growth that they could have achieved by leaving their money invested for longer. IF YOU WOULD LIKE ANY ADVICE OR INFORMATION ON ANY OF THE AREAS HIGHLIGHTED IN THIS NEWSLETTER, PLEASE GET IN TOUCH. The value of investments can go down as well as up and you may not get back the full amount you invested. The past is not a guide to future performance and past performance may not necessarily be repeated. If you withdraw from an investment in the early years, you may not get back the full amount you invested. Changes in the rates of exchange may have an adverse effect on the value or price of an investment in sterling terms if it is denominated in a foreign currency. Information is based on our understanding of taxation legislation and regulations. Any levels and bases of, and reliefs from, taxation are subject to change.